What to look for in an indestructible dog toy? Why aren’t dog chews indestructible? What toy to get for a dog that chews when bored? Can I leave my dog alone with his new toy? What are good indestructible chew toys for dogs? Most dogs are very playful by nature; especially when young, and there are dogs that could continue playing 24 hours straight if someone would be up for the challenge. When getting a new puppy or when having a beloved pooch at home, it is often very tempting to go out and buy new adult or puppy toys for them to play with. Those puppy eyes are hard to resist, and why wouldn’t you want to make your best friend extra happy from time to time? Finding the right toy, however, can be difficult. 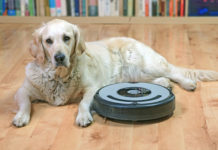 It needs to be one that the dog enjoys playing with, but also one that is suitable and safe to use. It gets harder if you have a pup that tends to rip up any toy within a matter of seconds, so we are going to have a look at some of the most durable dog toys on the market, so your pup isn’t tempted to move on to his or her lovely new large dog bed! Did you know that chewing can help anxious dogs feel more relaxed? You can also try some calming chews to ease your pup if they are anxious or upset. When looking for the best dog toys for aggressive chewers, it is important to keep in mind that no dog toy is completely indestructible and that they should always be used under owner supervision. These interactive dog toys for big dogs are good options, however, since they are made with strong materials and with a design that encourages the dog to play with the owner (tug-of-war) rather than to bite and chew until they break it. Our top pick interactive toy is 11 inches long and 6 inches wide, very grip-friendly both for the human pulling it and the dog biting on to the other end. These interactive dog toys for destructive dogs are great assets when playing together with your fur friend! Why We Liked It – As our top pick, this virtually indestructible dog toy is very simple in its design and function, yet dogs love it! This Goughnuts interactive dog toy is a great opportunity to engage with your dog, and the thick and durable material keeps the interactive toy from breaking within the first 5 minutes (no guarantees though). Related: Dog-friendly frisbees in review. When it comes to chew treats, many dog owners have experienced the frustration of buying something that looks delicious for a household dog, only to have that same dog devour it in under 30 seconds. Finding dog toys for tough chewers is hard enough and finding chews and long-lasting treats are even harder. 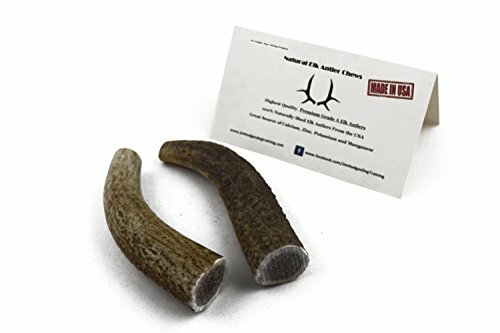 These real elk antlers are known for lasting incredibly long if not forever, as they are tasty and safe but also almost indestructible. There is no unpleasant smell to worry about, they tend to have a very appealing taste for the dog to lick and chew, and it is perfect to use indoors since it doesn’t get sticky or leave a mess. Try these instead of durable toys for aggressive chewers and see how your best fur friend stays occupied for hours at a time. Why We Liked It – These safe dog toys for aggressive chewers are more of treats than actual toys, but they work miracles when keeping an active dog busy for a while. Big plus for being all natural and for rarely breaking (antlers are incredibly hard and durable), so that you can give it to your dog without the guilt. What self-respecting pup doesn’t love a good game of fetch? Playing fetch with a ball or a stick isn’t always an option though since many super chewers have a habit of destroying these within minutes of starting the game. This strong dog toy has the shape of a thick stick, yet it is made of non-toxic rubber and specially designed to qualify on the list of nearly indestructible dog toys. Let your dog run, chase, play and chew (always under supervision while enjoying the benefits of one of the best dog chew toys for aggressive chewers. 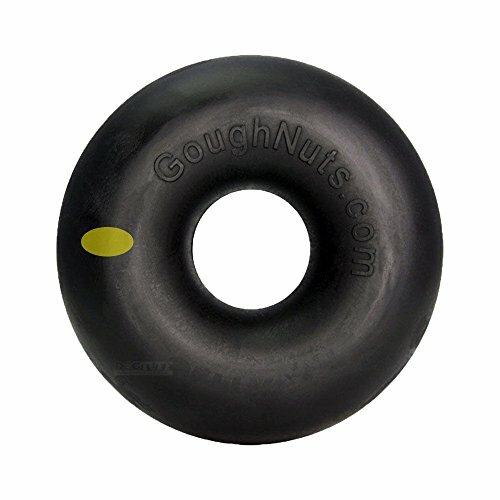 You may have seen the “Goughnuts Guaranteed Indestructible Dog Toy” or “Goughnuts Guaranteed Toughness” labels on different sites, and while that sounds promising and great, we cannot bring ourselves to make this claim. At Treehouse Puppies, we want to make it clear that anything is a possibility, and your furry friend is too precious to risk – please do keep an eye on your dog when he or she is chewing a dog toy. Even if the dog toy is “Guaranteed Indestructible” – it’s not worth the risk as we are sure you’d agree. Why We Liked It – Dog toys for heavy chewers with a lifetime guarantee says quite a lot about the product, and it is a risky promise to make considering how many expert chewers (we mean the dogs) there are out there. This virtually indestructible toy is great for a game of fetch, and you won’t have to go through 20 tennis balls per week as your dog chews them all up. Here we have these heavy duty durable dog toys that are designed to provide your dog with the ability to get a good grip as he or she chews. Dogs don’t have thumbs and can sometimes struggle to hold on to a regular dog bone, but with these power chewer strong dog toys they can easily hold their fun in place and chew without issues. This virtually indestructible toy is produced in the United States, has a real bacon flavor for appeal and should be supervised closely when used. 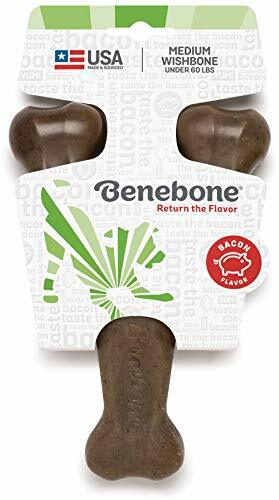 This Benebone Wishbone is not edible, but a fun way for your dog to chew and have fun without consuming anything that could potentially harm them and/or have them gain weight. Keep in mind that the virtually indestructible toy is not edible and that it should only be used as dog toys for chewers. The company behind these power chewer dog toys donates a percentage of their weekly profits to U.S based animal shelters and rescue organizations. Why We Liked It – Investing in high-quality heavy duty dog toys pays off in the end since you don’t have to replace them as often. These power chewer dog toys have a unique design that will help your pup hold on to it properly while chewing. Looking for the best dog toys for heavy chewers? Nylabone is always a brand you can count on to deliver aggressive chewer dog toys. This virtually indestructible dog bone chew is similar in function to that above; the “Benebone indestructible dog toy” and is also a power chew for dogs weighing over 50lbs. 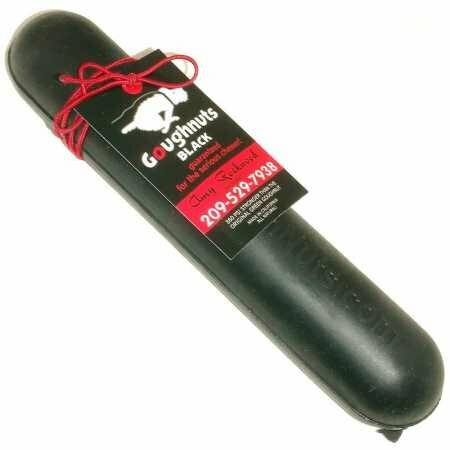 The company has been around since 1955 – producing the best dog toys for chewers – and this tough dog bone chew toy here is no exception. 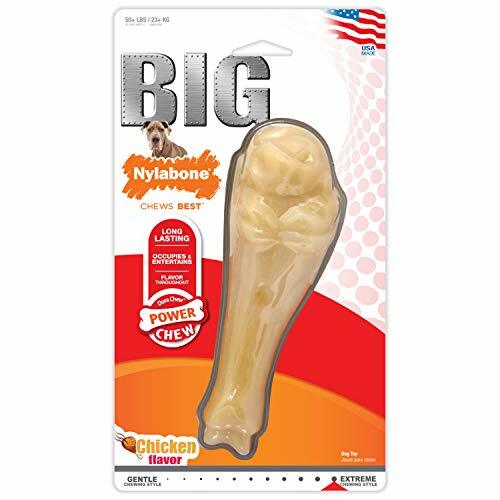 This goodie bone chew toy is made from non-toxic nylon that resists even the sharpest dog teeth, and while you still want to keep an eye on your fur baby while he or she uses the Nylabone dura chew, it is a brand known to live up to their promises. 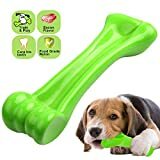 This extra-large and durable dog bone chew toy tastes good, keeps your furry friend occupied and helps promote healthy dog teeth and gums – what’s not to like? Why We Liked It – Nylabone has been catering to dogs that enjoy a good chew for many years, and it is nice to see a virtually indestructible toy that is made with large dog breeds in mind! This Tough dog bone is durable in its structure and design. Let’s face it – for some dogs, there will never be a toy that can measure up to a simple ball. Dog’s love rubber balls, it’s just how it is, so if you can’t get your pup away from that ball toys obsession and if he or she tends to chew them up before bringing them back to you – this here could be the option you have been looking for. These super tough dog toys are vibrantly colored, which makes them great for fetch since they can be spotted from far away. The Snug Rubber dog balls are virtually indestructible (no toy is truly indestructible, but these are pretty close), and made to last for a lifetime of fun with your active pooch. 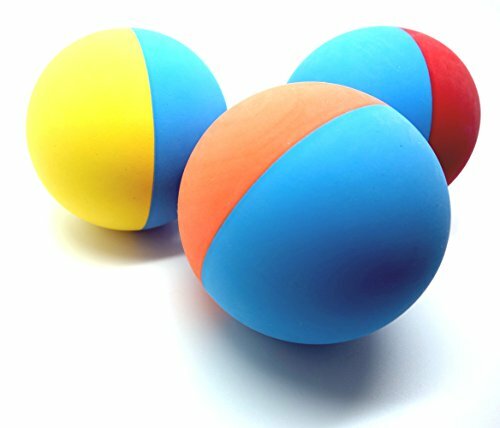 These rubber balls are easy to clean, great for water play, BPA free, FDA compliant and made from durable rubber, and they are about 6.5cm/2.5” in diameter. Why We Liked It – As much as we might like to try different types of tough dog chew toys – there is nothing quite like a good rubber dog ball. This new version of a classic is great for playing anywhere and everywhere, and you are less likely to get a chewed-up ball spat back in your hand when playing fetch. Say goodbye to endless tennis balls being ripped to shreds! ’s are dog toys for extreme chewers and can be used when playing fetch, tug-of-war and any other fun game that allows you to keep an eye on your pup while playing. 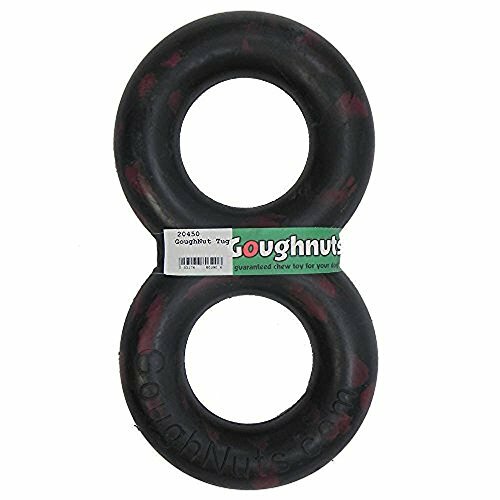 The Goughnuts Original Dog Chew Ring is simple in its design and deemed virtually indestructible, and focus has been placed on function rather than exterior design. Despite this, the dog chew ring comes in several different colors, and it is manufactured in the United States. 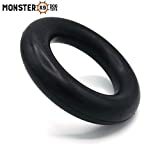 has no extras or odd features, it’s just an incredibly durable chew ring that can be used for chewing, tossing and tug-of-war. The best durable dog toys are those that are fun and easy to use, both for the dog owner and their furry friend, yet also safe and virtually indestructible. 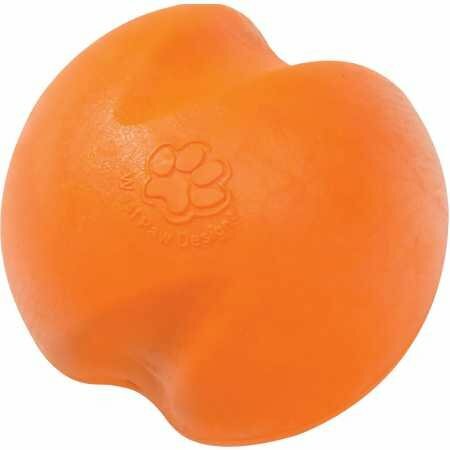 This West Paw Zogoflex ball has a unique design that is simple to clean and easy for your pup to get a grip of, which can eliminate the need to actually chew on it. West Paws’ Design Zogoflex virtually indestructible dog ball floats in water, making it a great toy for water play, bounces on hard surfaces and comes in three different colors and sizes. West Paws virtually indestructible dog ball also fits in a standard dog ball thrower, it is BPA free and recyclable (more can be read on the company website), so that you don’t have to sacrifice the well-being of the environment for the sake of a good game of fetch. Why We Liked It – Sometimes it isn’t necessary to provide your furry friend with the toughest dog chew toys to get them to stop chewing on shoes or furniture or to avoid having them break every toy in a minute! Instead, it can be enough to get them a durable and safe option that will distract them from unwanted behaviors, and this West Paw Zogoflex dog ball is almost guaranteed to keep them happy and entertained for hours and hours. These tough toys for dogs come in a practical mesh bag so that you won’t have ball toys bouncing around all over the place unless it’s playtime, and they are durable, made with natural materials and non-toxic rubber, they bounce well and can put up quite the fight even when confronted with the most enthusiastic chewer. The Chew King Fetch ball toys are sold in packs of 3 and 8, come in different colors and the hole in the middle serves as an air vent which will keep your pup safe even if he or she likes to run around with ball toys in the mouth. Stuffed dog toys for aggressive chewers is rarely a good idea, and a high-quality bouncy ball might be a much better option since it is harder to destroy and more fun for you and your pup to play with together. 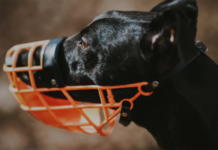 Why We Liked It – The hole in the middle makes sure your dog can breathe properly while carrying the virtually indestructible dog ball in his or her mouth, and the material is completely free from harmful toxins. If your pup likes to chew – let him! Or try to distract by playing fetch. Here we have a toy your furry friend is bound to love! Stuff these indestructible dog toys for chewers with something yummy like peanut butter, treats for training your pup, or dog food and let the pooch focus on getting it out rather than to chew on the actual durable toys themselves. If you stick KONG toys, and generally rubber balls, in the freezer for a couple of hours – they are likely to last even longer! The KONG Extreme dog toy can also be used to play fetch, it has a bit of bounce, it comes in different sizes to accommodate all dogs and it is made from internationally famous KONG rubber – known for its extreme durability. The KONG Extreme dog toy is among the strongest dog toys you can find on the market today, and while supervision is always recommended – your dog is guaranteed to have a good time with one of these chew proof dog toys. Why We Liked It – One of the best things about these Kevlar dog toys (we are joking, but they sure are durable!) 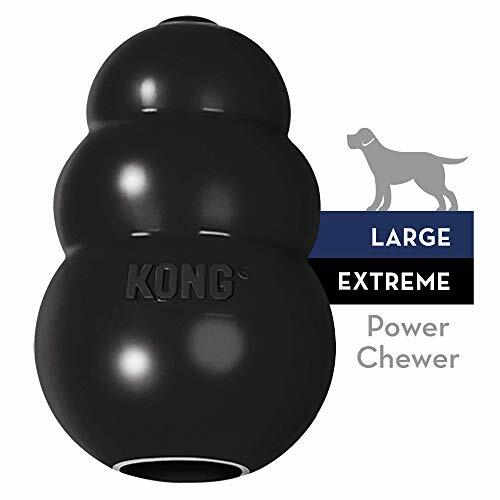 is that KONG Extreme KONG toys come in different sizes, so that you can pick one that fits your dog – regardless of whether you own a Chihuahua or a Great Dane. Great Dane owners may be interested in these top dog foods for Great Danes. It is extremely important to remember that there really isn’t any toy out there that is completely indestructible, and there will always be that one dog who finds a way to pick it apart and chew it up, no matter what toy you get. For that reason, it is essential to always be aware that when the word “indestructible” is used for a dog toy – it really just means that they are among the toughest dog toys available and designed to provide (almost) endless chewing of even the nuttiest chewer. It doesn’t, however, mean that they cannot be destroyed, and a dog should always be supervised when playing with rubber balls and durable toys, and especially if you know that your fur buddy has a tendency to chew heavily. 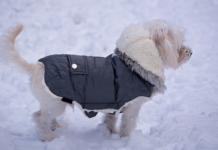 You will want to look for a tough toy that your dog can have fun with, and one that caters to his or her interests and likings. Every dog is different; some like to fetch, others like tug-of-war, and some just like to chew, and by picking one that you know they will like – you are a lot more likely to have a happy and satisfied dog looking up at you with those big puppy eyes. The best indestructible dog toys might even lessen the pup’s excessive chewing if it’s interesting enough, as it could potentially serve as a distraction. Materials you want to look for when shopping for dog chew toys for aggressive chewers is durable rubber and nylon, as these are known to have what it takes to keep a dog from breaking it in a minute. 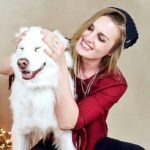 It also eliminates the risk of sharp pieces coming off that your pup could possibly go on to swallowing, which could result in hefty veterinary bills or worse. The right material does not only lower the risk of that master chewer breaking it, but it also lessens the risks if he or she would end up tearing it apart. Avoid hard plastic when looking for unbreakable dog toys, as it is nowhere as durable as rubber and nylon, and it might become an actual choking hazard if pieces come loose. Plush dog toys aren’t usually included when referring to indestructible dog toys due to the fact plush toys can usually be ripped apart within minutes. This is similar to rope toys, which are usually more durable but the frayed parts of rope dog toys can cause issues sometimes. This is where the distraction comes in. Dog toys for strong chewers need to be appealing – something the dog will want to play with – and if you choose wisely your dog might even prefer to run and play fetch or some tug-of-war rather than to lie chewing for hours. Turn playtime into something fun for the two of you, and as a chance to play together rather than for the dog to play alone, and that way you can both monitor that they don’t harm themselves, that the toy doesn’t break, and it also serves as a great bonding session. Here above we list several of the best dog toys for strong chewers that come at an affordable price, because it makes little sense to spend a fortune on a toy that might not survive your pup’s strong jaws. While all tough dog toys above are among the best indestructible dog toy options out there… There are no guarantees, and therefore it’s not necessary to spend more than you can afford to lose. Look for function rather than price, since price rarely reflects how well it will do when put in the claws of your furry family members. Expensive isn’t always a synonym for quality, you see, and it is not unusual that a cheaper toy is just as good as the pricier ones. This can’t be stretched enough, but there is no tough toy for dogs that is 100% indestructible, and it is important that you keep this in mind for the safety of your fur friends. Squeaky dog toys for aggressive chewers, for example, can usually take quite a lot, but it doesn’t mean that they can’t be broken. The same goes for any virtually indestructible toys claiming to be the toughest toys for dogs and calling them among the “most indestructible dog toys” would be more accurate, since they can, after all, be broken. You should always supervise your dog or your dog’s when there are toys involved, no matter how durable they claim to be. A great option would be a toy that you can use together with your dog, but that he or she can also use when you don’t have time to play. Consider the classic KONG, since it can be filled with treats to keep your dog occupied for hours, but also as a fetch toy so that you can spend some quality time together in the backyard when you get home from work. Fill up the KONG ball with yummy treats and peanut butter and stick it in the freezer before going to work and give it to your dog once you get home so that you can get some well-needed downtime before it’s time for a walk or a trip to the dog park (don’t forget the retractable dog leash!). 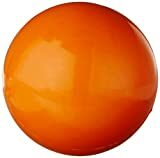 Then, simply rinse out the KONG ball and bring it with you on your outing and use it to play fetch! Dogs are similar to young children, and they can’t always measure the dangers of certain behaviors. A broken toy can get stuck in their throats, block their airways or cause damage in the stomach or intestines, so always keep an eye on your pup regardless of whether he is playing with tough squeaky toys or if you think you’ve bought him the toughest dog toy on the planet. The so-called “indestructible” dog toys with guaranteed toughness are unlikely to break, but it is far from impossible. Never leave your dog unsupervised. Out of all people, you probably know your own dog the absolute best. 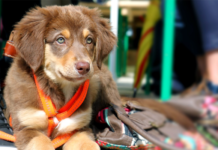 Think about what your pup likes to do for fun and choose your durable dog toy based on that. 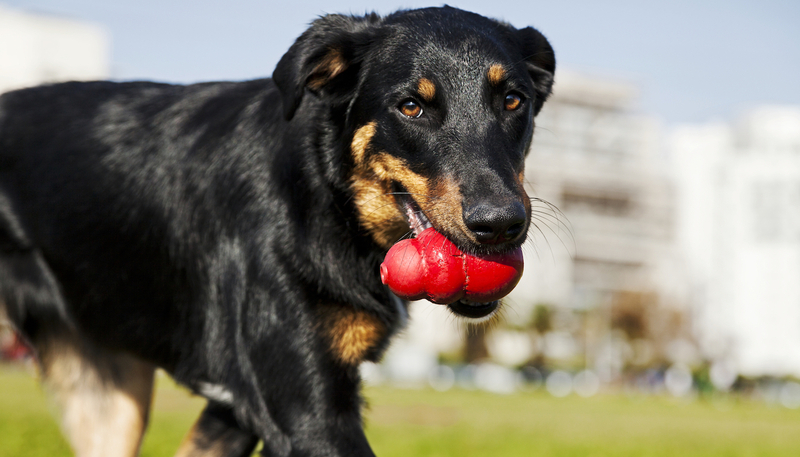 If you have a fetcher – get a virtually indestructible dog ball or a tough dog toy that can be fetched. If your fur baby enjoys a good game of tug-of-war – look for a toy that you can grab onto the other end of. 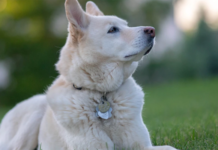 The best thing you can do before you start looking is to sit down and think about what you usually do with your dog when you are playing together, and what kinds of games he and she seem to respond the best too. There are virtually indestructible dog toys of all types, made for this exact reason! Everyone should be able to get quality durable toys that their dogs can have fun with, and that won’t break during the first 5 minutes. There are a lot of great toys out there that your pooch will love, so just remember that “virtually indestructible” does not mean that it cannot be destroyed, but that it is a mere suggestion that the tough toy is more durable and less likely to break than other toys. Tired dogs tend to be less destructive, so if you have an intense chewer on your hands – consider that he or she might need to be activated more; either physically or mentally. Add a longer walk to your routine or play mentally challenging games to see if that will lessen the chewing. Destructive behaviors are often a result of boredom. CBD oils can be really helpful for dogs and have shown signs of improvement regarding behavior and anxiety. Us humans have millions of ways to entertain ourselves during the day, but our dogs only have us. As dogs are amazing companions to us humans, it is only fair that we try our best to entertain them with appropriate toys, games, and activation so that they can live as happily as we all know they deserve. Safe to chew: our bones are made of food grade nylon, not rubber.